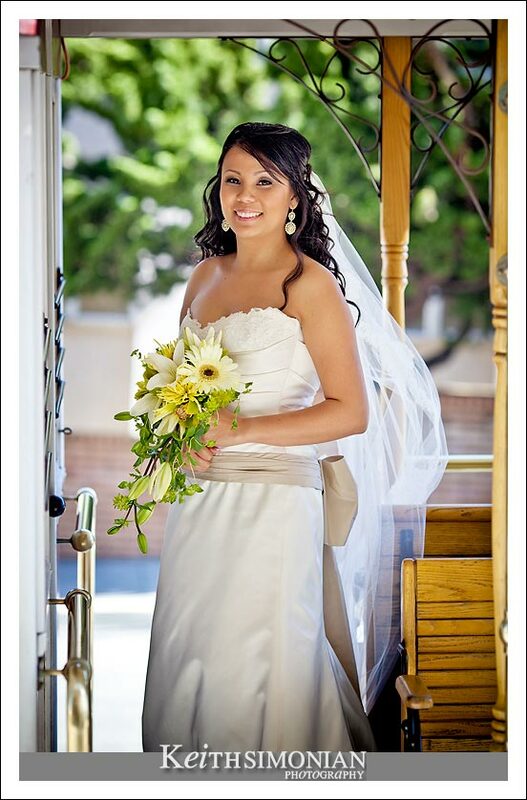 Last month I had the opportunity to assist Berkeley Photographer Stephen Hew as a 2nd photographer during a San Francisco wedding at St. Ignatius Catholic Church and the reception that followed at the Delancey Street Foundation in the Herbert Halper Town Hall. 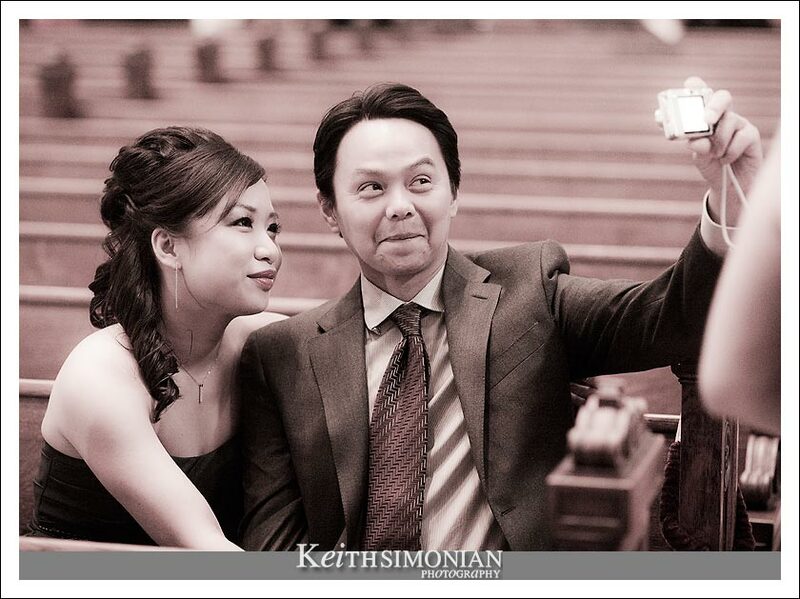 You can view Stephen’sÂ photos of the wedding day HERE. 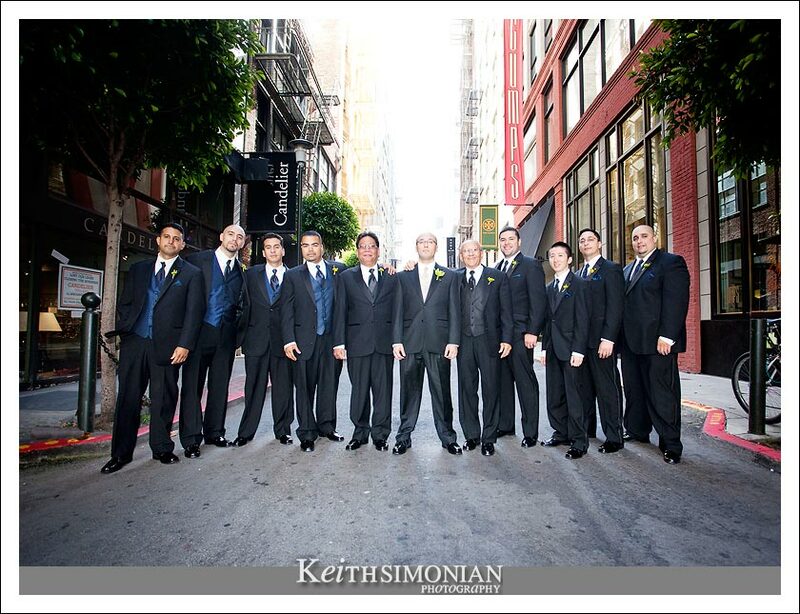 After meeting up with Stephen at the San Francisco Courtyard Marriott where the bride was getting ready, my coverage started with a quick trip to St Ignatius church to photograph to guys. 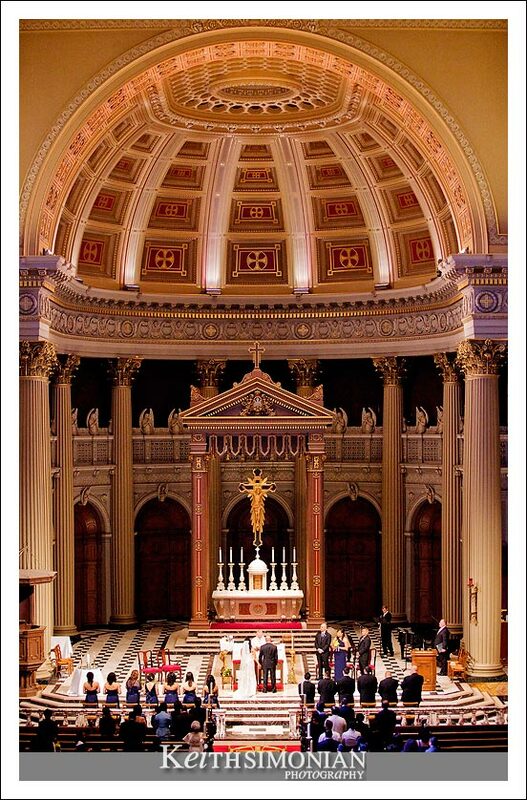 The ceremony took place inside the beautiful and awe inspiring St Ignatius church. After the ceremony is was time for a ride on a motorized cable car to visit a few spots around town, including a stop at AT&T Park home of the San Francisco Giants. After our last stop on the city tourÂ is was time to head to the Delancey Street Foundation’s Herbert Halper Town Hall for the reception. 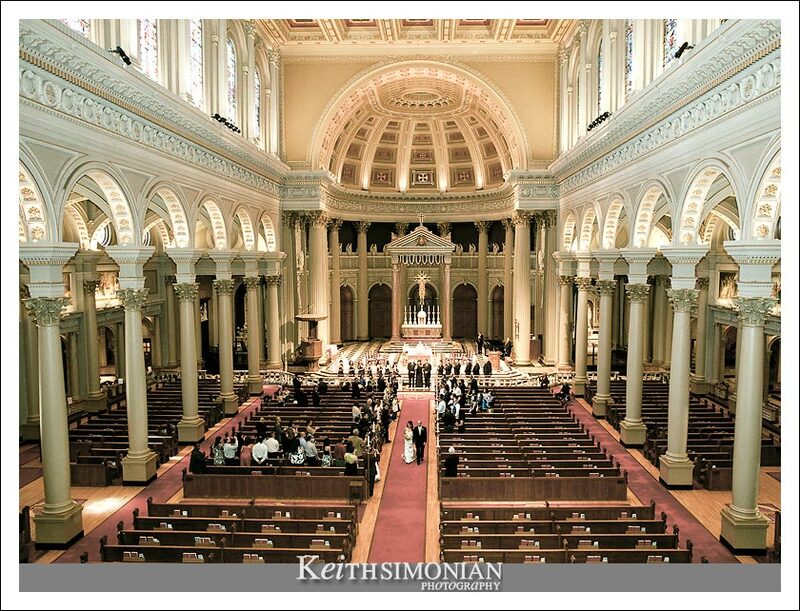 View from the balcony of wedding ceremony and the elegance of the church. 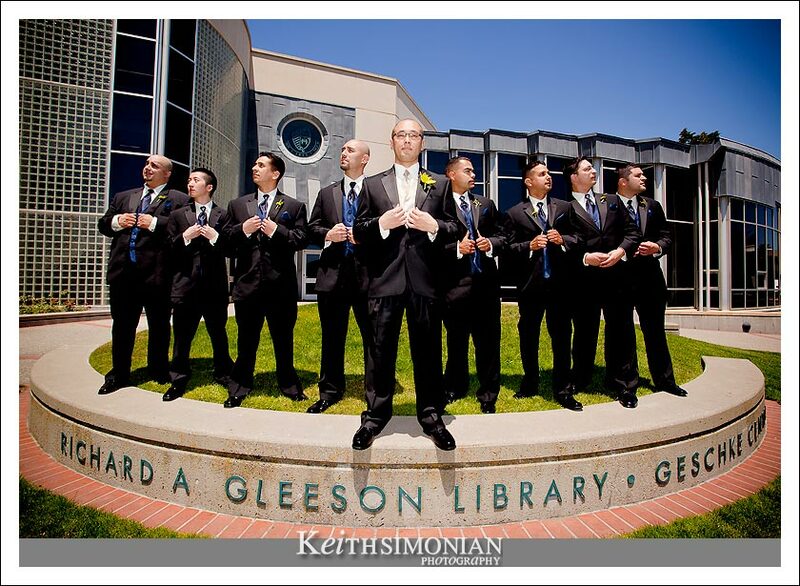 The guys pose for a photo just outside the Richard A. Gleeson Library – Geschke Center on the University of San Francisco ( USF ) campus where St Ignatius Church resides. Just one of the amazing views in San Francisco. 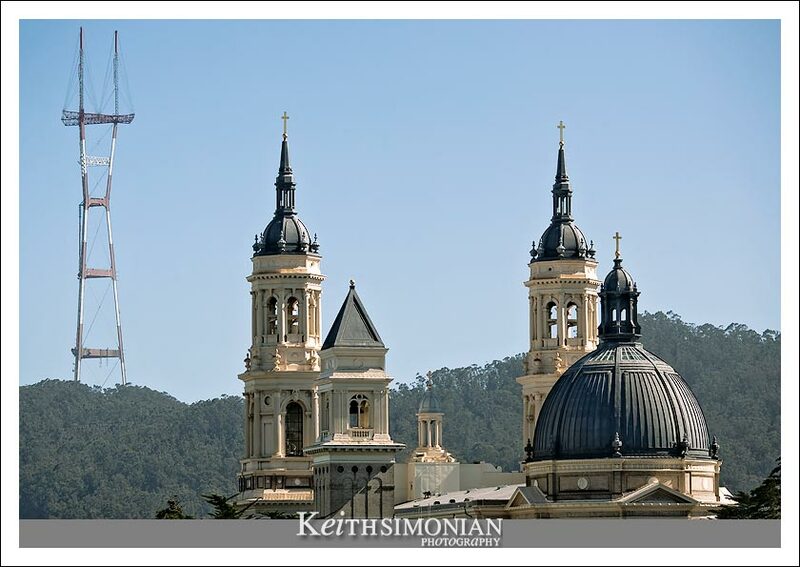 The twin towers and dome of St Ignatius church, and the Sutro Tower in the background. 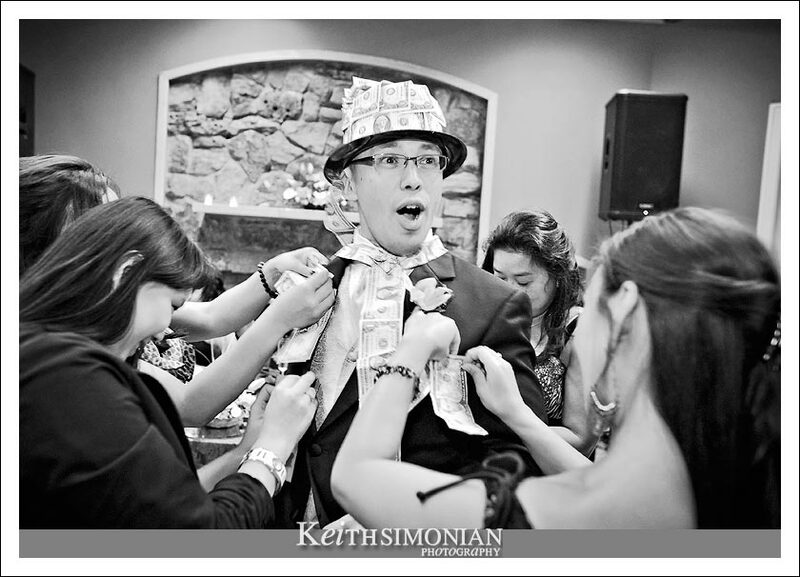 Groom with surprised look during the money dance. I love the first photo of all of the guys. And what a church! I bet that was a blast. Super images the water shot is fantastic I like the shot of all the boys too!! Money money money! haha. Love that shot!! 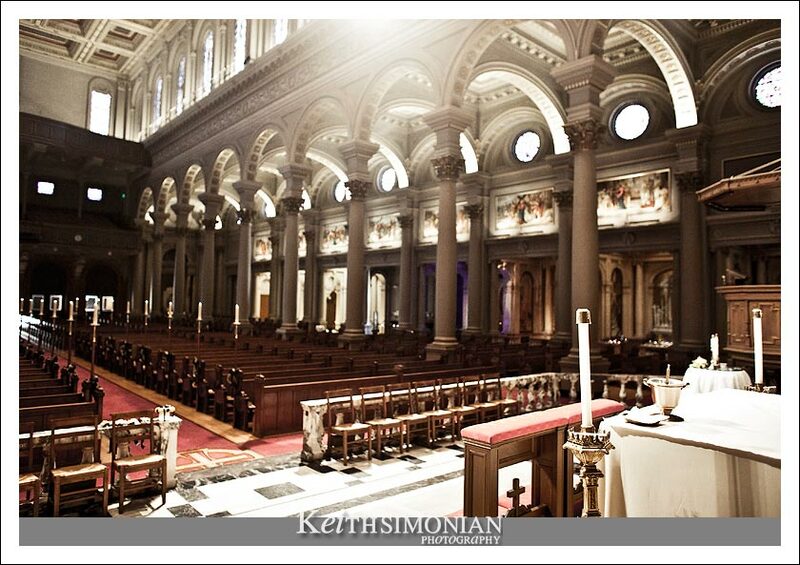 Stunning images of the church! Beautiful couple! Wow! 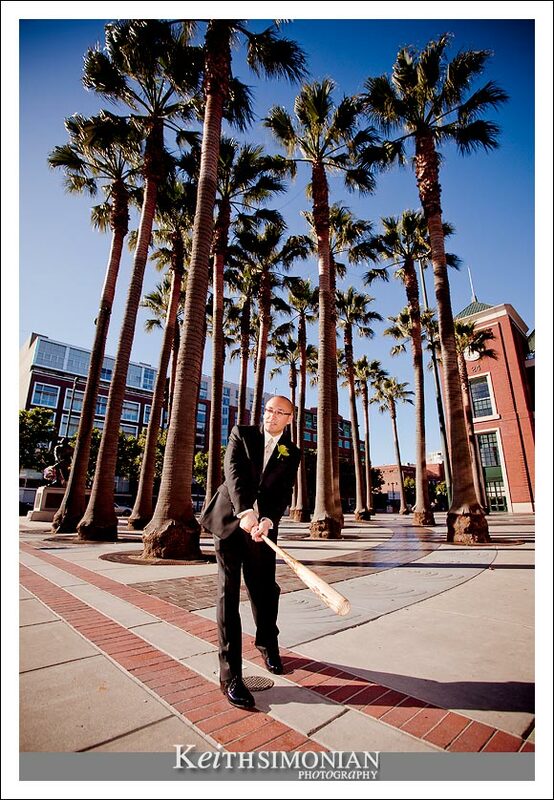 What a great location for a wedding ceremony! Wonderful set of images. 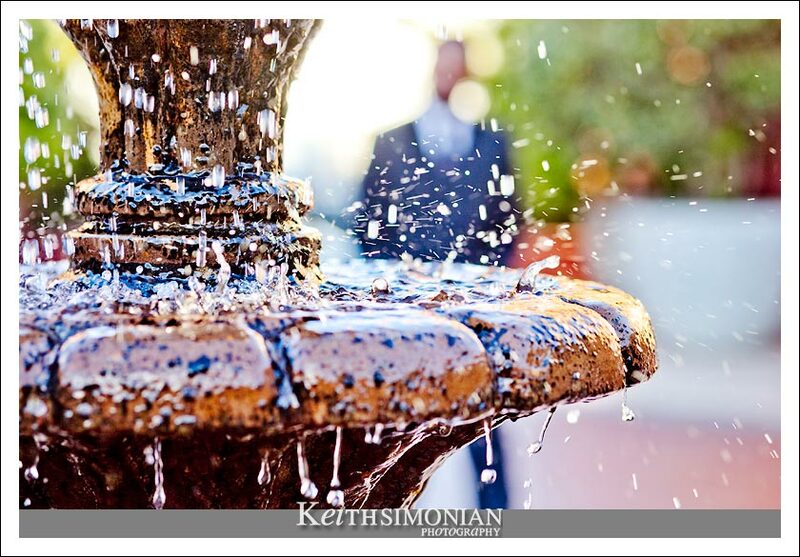 Great set of images, Keith! I absolutely love the money shot. 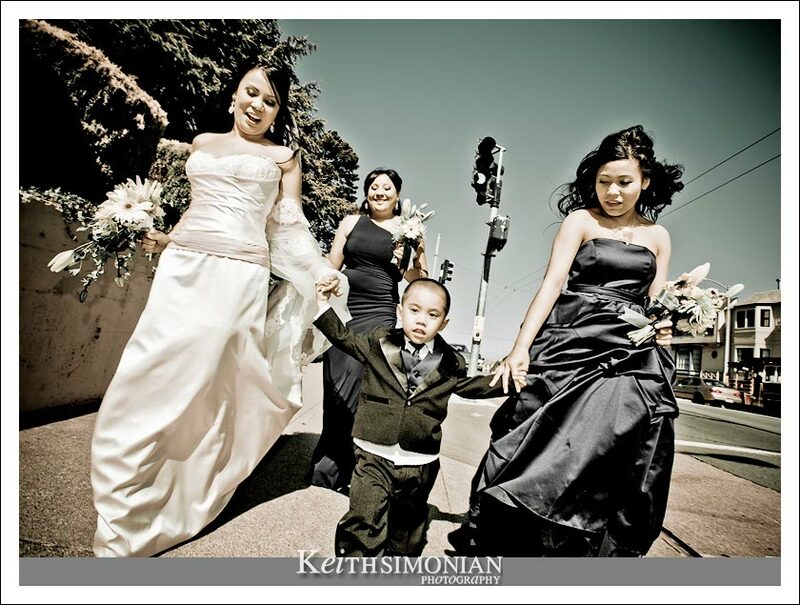 The lovely mixture of photojournalism, details and posed photos will create an awesome wedding album. These images have a crisp, clean feel to them. They feel refreshing! 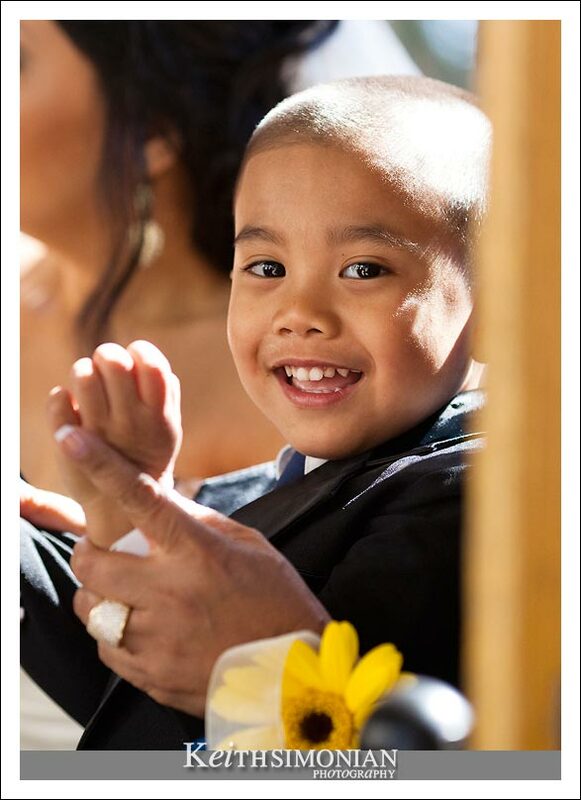 Love the last image of the groom! His expression is hilarious! Oh my, now THAT is a church! 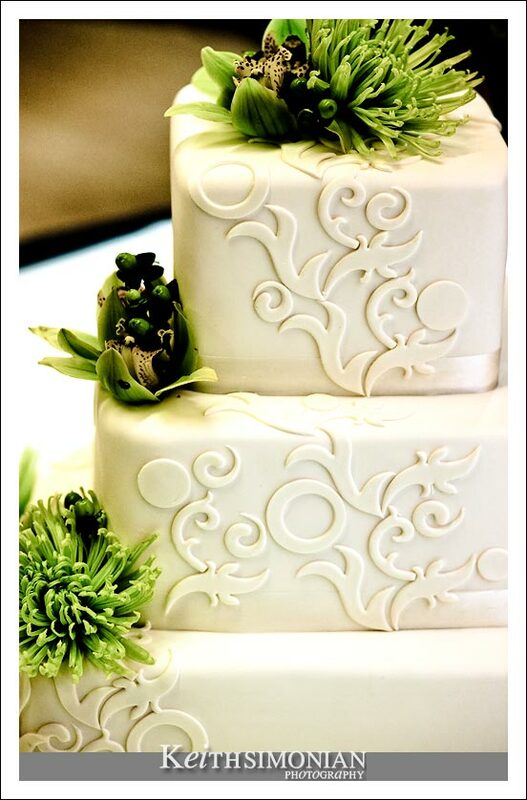 What a beautiful wedding and lovely photos! Love his expression on the last shot. 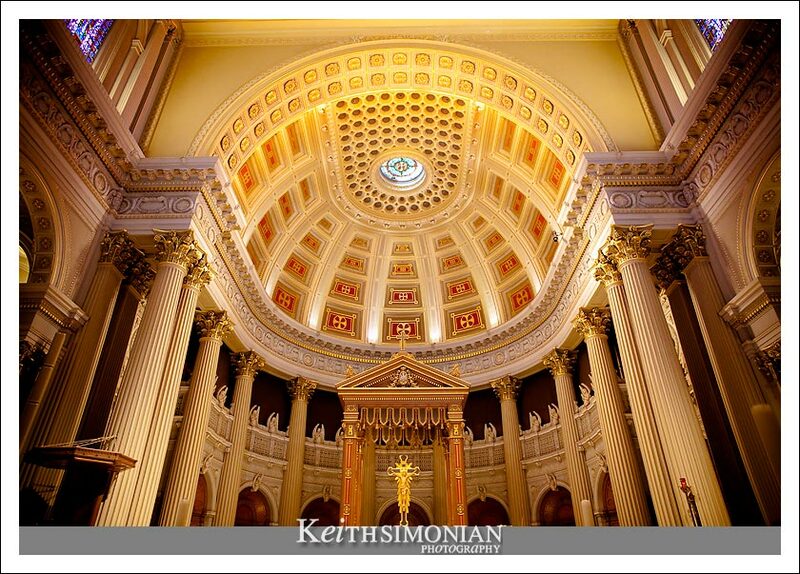 Beautiful set of photos… and yes, that church is amazing! Sure don’t have churches like that here in Nundah, Queensland, Australia. Love the pics, as I’m sure the couple does. Seeing these pictures makes me miss my home town. Now I want to come back. Great images. What an beautiful church to get married in.